It’s time to move on to different things, if not necessarily bigger or better things. Bigger than the GCNP is hardly possible, and better is completely subjective. Nonetheless, we are on our way to Zion National Park by way of Lake Mead and a yet to be named diesel mechanic. 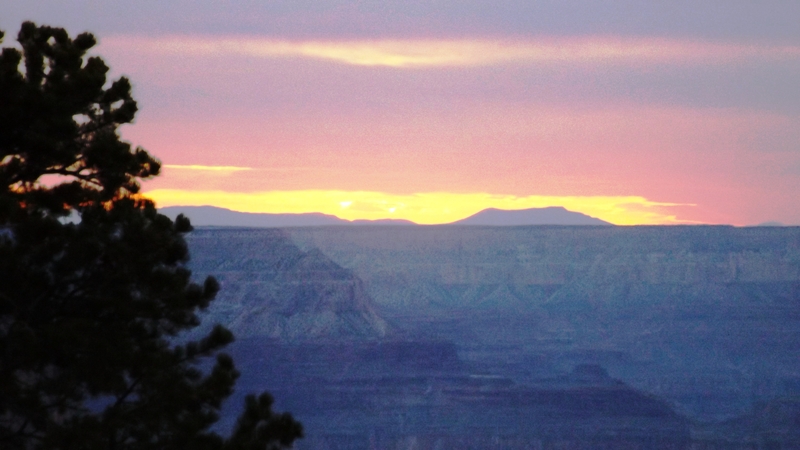 But before we leave our narrative of the Canyon, it is time to talk of sunsets and memorials. We suffered through an hour and a half of cold and wind at Yaki Point hoping for the sun to break through the clouds low on the western horizon. The colorful reverse sunset (where the late day colors are reflected off the cliffs many miles away) never happened. Kat got a picture at the end, and one can imagine better sunsets on better days. 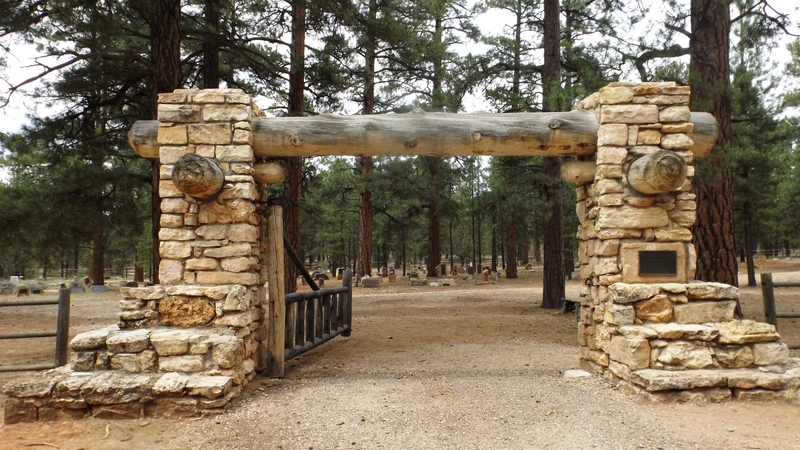 The Shrine of the Ages is a cemetery within the park on the main loop (Blue Route) of the shuttle. 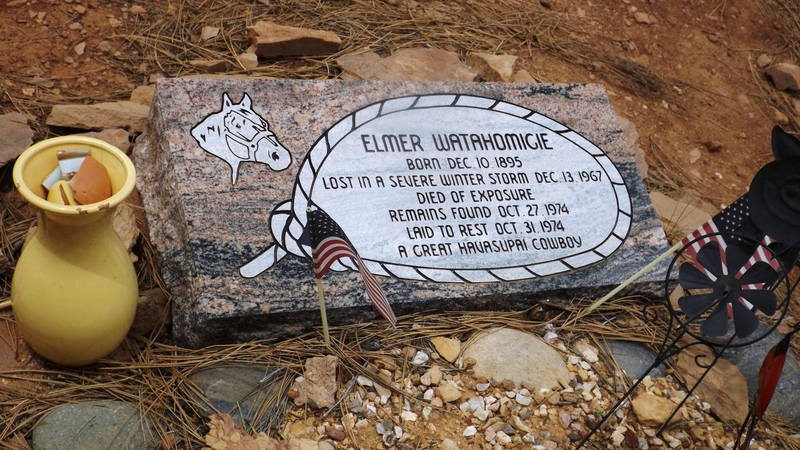 It is in some ways an Arlington National Cemetery for the fallen heroes of the Grand Canyon. 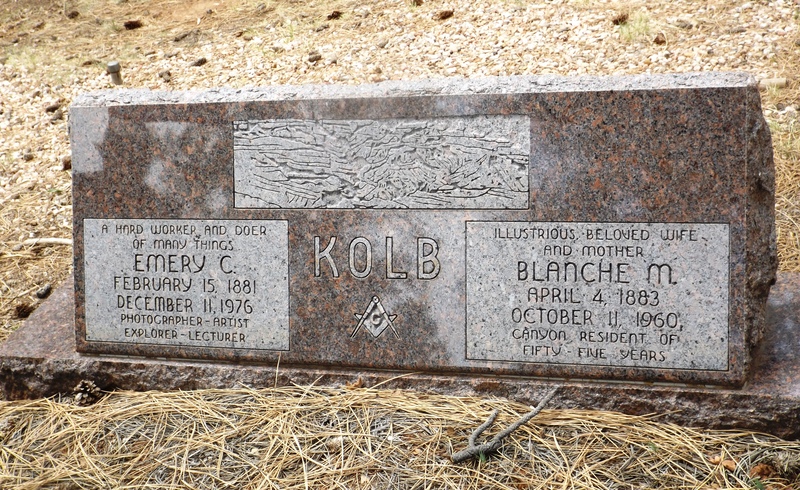 Emery Kolb and his wife are interred there. 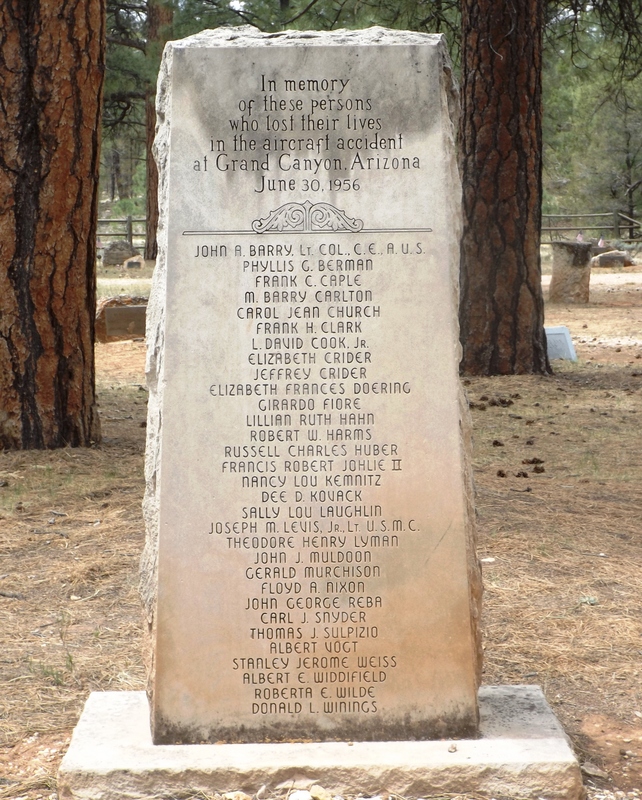 There is a monument for the casualties of a mid-air collision above the Canyon in the 50’s which lead to much stronger oversight of commercial flights by the FAA. 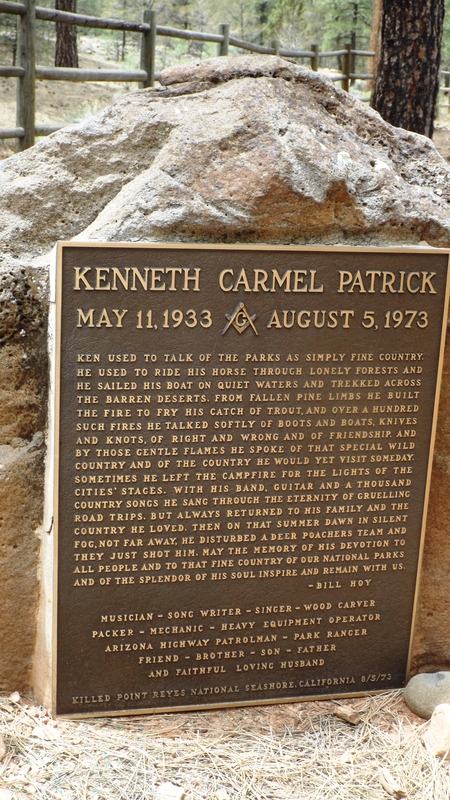 But the surest path to a plot in the Shrine of the Ancients is to have been someone who helped make the Grand Canyon National Park what it is. 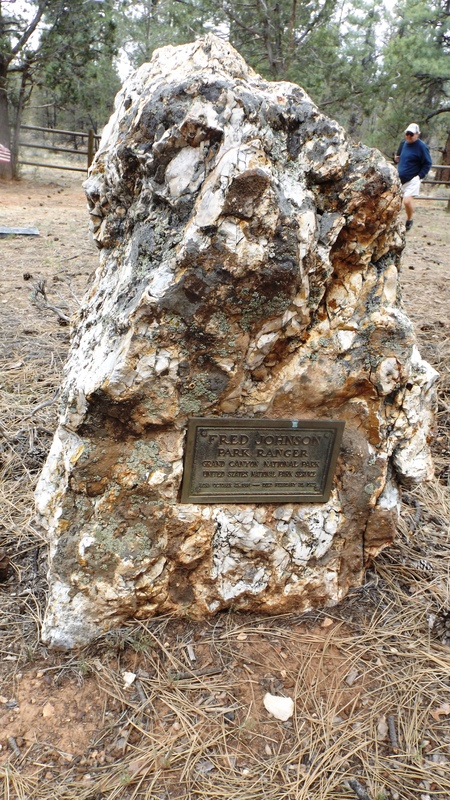 That means its founders and the park rangers who died in the line of duty. One last thought on memorials and mortality. Mankind has been on this planet for a bit more than 10,000 years. In terms of the history of life on earth, as expressed in terms of the time of one single day, we have been around for the last three seconds of Earth’s day, to date. And for whatever odd reasons, if any, the last hundred years have been the hottest of the planet’s last 200.000 years. A Renaissance Man, Killed by Poachers. If You Don’t Think Life Is Ruled by Randomness, Think Again. We are killing our planet. When will we do something? I didn’t realize there was a cemetery in GC. 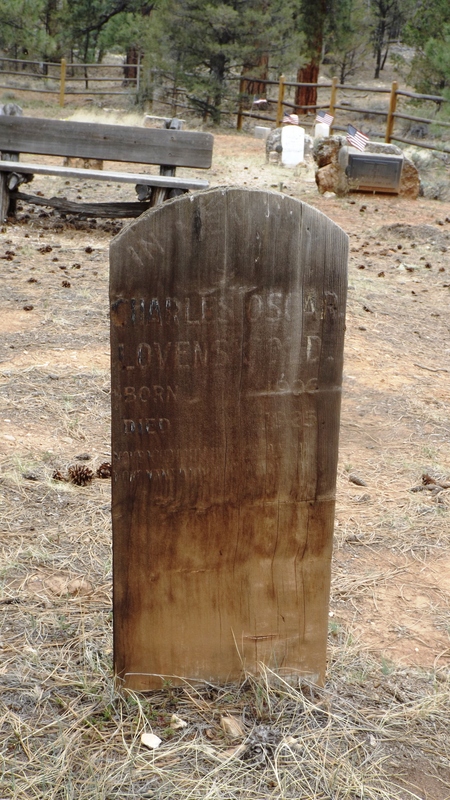 I love to visit cemeteries – so much interesting history. We just left Zion on Thursday – it was beautiful! We stayed in the Watchman campground and really liked it. Enjoy your stay there. I didn’t know either. It’s a stop on the blue shuttle route, and our driver pointed it out. Rangering is quite the hazardous task.